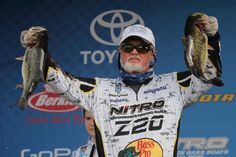 The addition of a Project Z swimjig into Z-Man’s offerings seems to me like the next natural step for this company. Z-Man fishing has been extremely successful with its patented chatterbait design and the company has become famous for its Original Chatterbait. The addition of the Project Z chartterbait in 2015 involved water engineering and input from pros to create a better chatterbait. The ZMan Project Z swimjig builds on ZMan fishing’s momentum and adds yet another product that anglers will want to grab. The Project Z swimjig has the pedigree to ensure that it is thoroughly tested on the water with plenty of input from pros. The trailer keeper, heavy weedguard and stout hook are immediate pluses for this jig, all things that should make it a performer on the water. 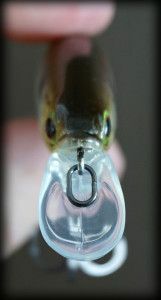 I usually look at a swimjig’s hook first when I evaluate this type of bait. 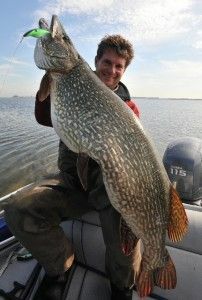 I can’t tell you how many stories of opened hooks I have heard as well as how many swimjig hooks I have opened myself. The Project Z swimjig has a nice stout hook. It barely bends when I try to flex it and it is on par with some of the heavier jigs I have seen. Of course, it’s not the absolute stoutest hook I have ever seen, but it shouldn’t open in most cases. I like the 45-strand skirt on the Project Z swimjig. It gives the jig a larger profile and I think it will flair nicely when you pause the jig. It also serves to slow the fall when paused keeping it in the strike zone longer and making its fall more realistic. The 45-strand skirt is definitely superior to most other jigs out on the market using standard 30-strand jigs. This may not seem like much, but let me tell you from experience; fall rate makes a big difference! Although ZMan has only 8 colors available, they have all the basics covered and have not created any “fluff colors” that anglers won’t need. The color choices available are well-thought-out and have purpose. The skirt provided with this swimjig is also long enough for anglers to decide whether they want to trim it or not. I was happy to see a double barbed trailer keeper. This is a pet peeve of mine. 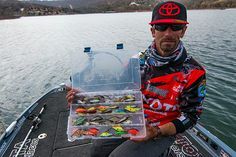 I don’t want to spend time between casts to re-adjust my bait, so the trailer keeper is definitely a pro in my opinion. It also makes me touch my bait less between casts to adjust my trailer; something that minimizes the transfer of human hand oils to my bait. Swimjig head design isn’t something I’m an expert in, but the Project Z swimjig seems to have been designed with some interesting characteristics. The wedge shaped head of the jig and flat bottom increase the jig’s lift as it swims so it doesn’t fall through the water column as quickly and stays in the strike zone. A flat planing surface also allows the angler to retrieve the swimjig just a little slower as well. Many anglers prefer to swim arky style jigs for just this reason. Looking at the jighead, I think that the fact that it’s eyes are painted on are also a pro. 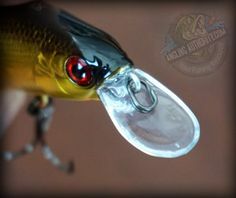 I can’t stand the holographic eyes many manufacturers use on jigs, especially when they use cheap ones that fall off when exposed to water. The painted on eyes that this swimjig has are sure to not come off! The Project Z swimjig has a few drawbacks. For starters, I would have loved a wire-tied skirt that does not slip. The current skirt is held on by a traditional rubber band and will eventually slip. With long term use the rubber band holding the skirt onto the jig will inevitably get brittle and/or break off. Of course, this can be mitigated by tying your skirts on with braid, so it’s not the end of the world. Tying skirts on firmly with braid is a trick I have been using with all my jigs for years, so I am not surprised that this is needed for the Project Z Swimjig. I also would have liked to see the Project Z swimjig in some different sizes as well. With 3/8-oz being the heaviest weight ZMan offers, the current offering of the Project Z swimjig just doesn’t cover all situations an angler will be faced with. High winds and deeper water will call for heavier jigs such as 1/2-oz or even 3/4-oz. The Project Z swimjig is not produced to meet those needs – yet. I tested the Project Z Swimjig with a high speed baitcaster combo and 50-lb Power Pro braid. The rod used for testing was a St. Croix Legend Tournament 7’4″ heavy/fast swimjig rod. When I was halfway through my tournament year, I switched to a more nimble, lighter rod because I felt the 3/8-oz swimjig was just too light and I wasn’t getting the effect I wanted. I used the St. Croix Legend Tournament 7’1″ Finesse Swimjig rod to finish my testing and it seemed to suit this jig much better. On the lighter med/heavy rod, the swimjig was much more responsive and I could feel obstacles much better. Strikes felt more violent than with the heavier 7’4″ rod I was using initially. However, the med/heavy rod had enough backbone to handle fish. I would probably recommend the heavier rod for swimming 3/4-oz swimjigs if ZMan ever produces them in that size. The swimjig tested very well. I had several good, solid hooksets with the Project Z swimjig (including a few stumps) and the Project Z jig never bent at all. The dual trailer keepers also did their job and I found that I seldom needed to adjust my trailer; aside from putting a new one on because fish kept stealing my craw claws. I found that the swimjig tends to roll slightly when it encounters vertical cover such as cane or dock pilings which could potentially lead to missed fish. 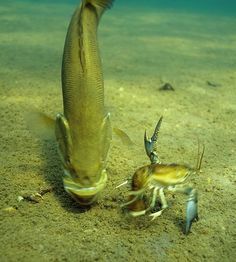 It seems to me that the shape of the head not only kept it higher in the water by providing “lift”, but it also made the jig prone to rolling over because its so wide and flat. Kind of like what would happen with a sailboat missing a keel. The tendency of this jig to roll was not disastrous, but it was annoying at times. Over time the paint on the jighead also took a beating. I think the project Z swimjig’s paint could have been of higher quality and throughout the summer the project Z’s paint chipped off badly revealing it’s white basecoat. This didn’t affect the functionality of the lure, but it sure made for one ugly jig! Z-Man got it mostly right with this jig. They made a jig that is economical and yet has all the most needed features. This swimjig is well designed and worth trying for anglers who are looking for a workhorse jig. I think that the Z-Man Project Z swimjig is definitely worth every cent when compared to other jigs on the market. With a little effort you can modify this jig to increase it’s lifespan. The really nice thing about it is that once the swimjig is past its useful life you won’t feel bad about retiring it and moving on. The Project Z Swimjig is a great addition to the ZMan lineup. It is a well designed jig that is sure to find its way to many tackleboxes. During testing the Project Z swimjig's additional features all proved to be positive features. Its a great workhorse jig!